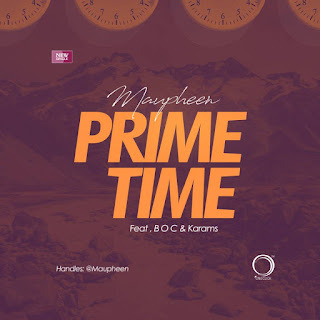 The lyrical monopolist, Maupheen is back once more with this new music entitled 'Prime Time' featuring Northern Nigeria's popular bilingual lyrical puncher, B.O.C. Madakiand and Adamawa's super talented Hip-hop rapper Karams. Maupheen who is known for winning the #WhoYouEpp Competition hosted by YBNL's boss Olamide and the prestigious music platform in Africa NOTJUSTOK is said to be working on his EP, though title yet to be confirmed.